Iran, August 10, 2018 – Azadi sport stadium rocked by the shout of Death to the Dictator. As the anticipated football match between the two famous Esteghlal and Tabriz Tractor Company teams begun at the Azadi Football Stadium in Tehran, thousands of youth and football fans shouted Death to the Dictator. 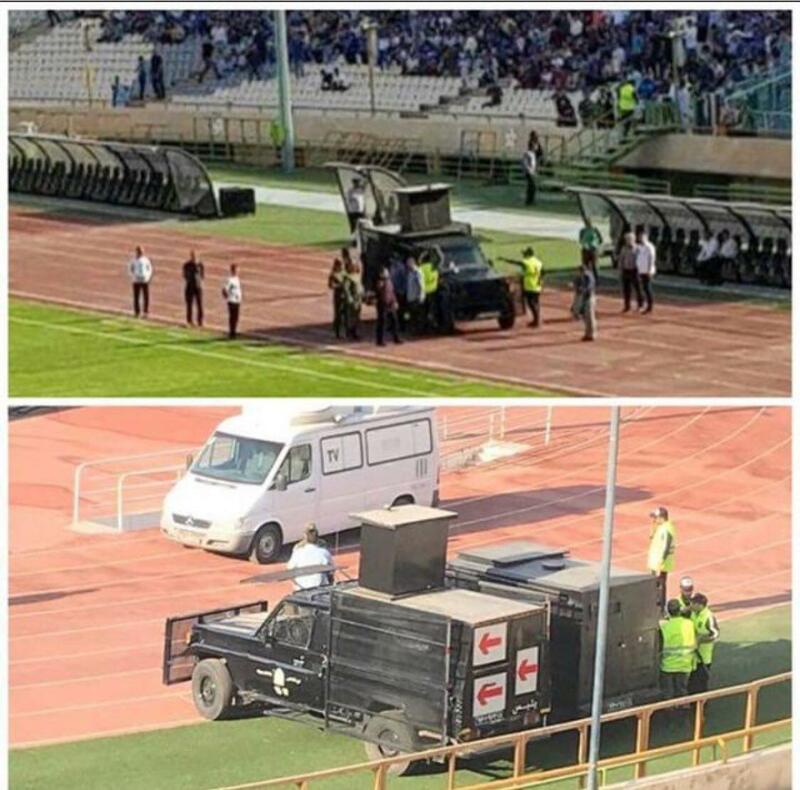 In a sharp contrast to all international norms and protocols, the repressive clerical regime ruling Iran brought anti-riot vehicles inside the Azadi stadium in Tehran to put down the protests. Fans of the Tabriz team, gathering in Tehran from a variety of cities from Iran’s northwest region, were heard chanting against the regime. 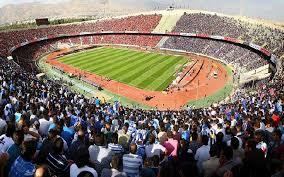 Fans of the Tehran team also joined in and the entire stadium was heard chanting anti-regime slogans. 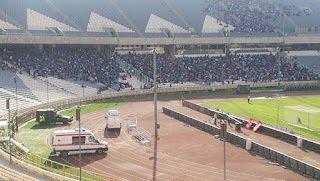 The mullahs’ regime responded by dispatching numerous anti-riot police units to the stadium. 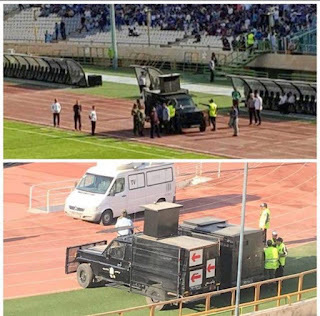 A PMOI/MEK activist at the scene said the fans began chanting slogans against the regime two to three hours prior to the game’s kickoff, scheduled for 8:30 pm local time. Authorities first dispatched the stadium security forces and it became obvious that they needed to call in anti-riot units for reinforcement. The people increased their anti-regime slogans in response to the authorities’ attacks. Stadium officials stopped selling tickets to prevent the crowd of protesters from growing in size, the PMOI/MEK activist added.